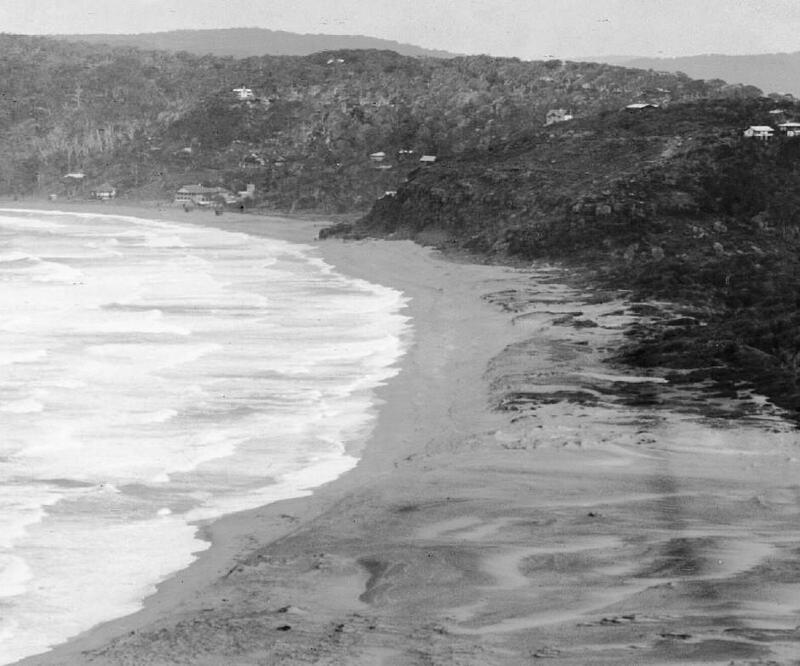 Section from Panorama of Mona Vale, New South Wales, [picture] / EB Studios National Library of Australia PIC P865/125 circa between 1917 and 1946] and sections from made larger to show detail. Grannys' eyes would light up as she spoke about how her horse was her best friend, about playing hide and seek with her brothers when she and her horse would gallop ahead and then both of them crouch down hiding behind a green bank, my young grandmother giggling and her horse snuffling (giggling too?) as those boys rode past - unable to see them. 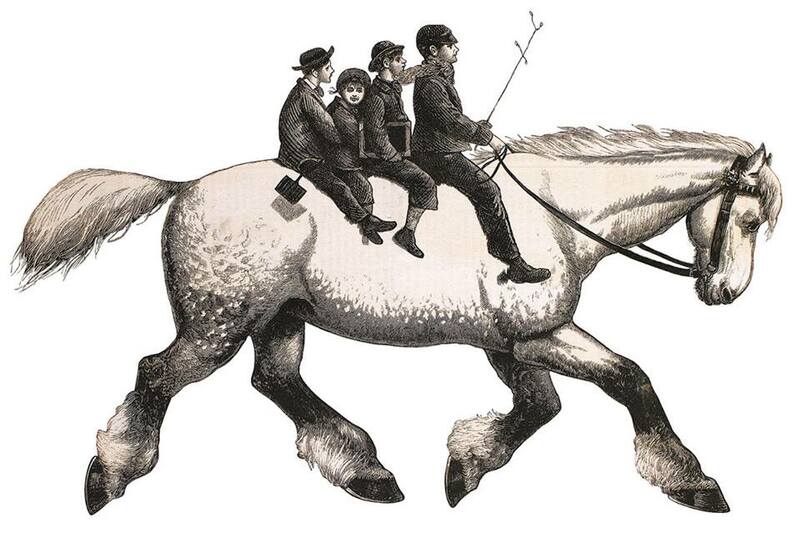 Of course in Pittwater school was often reached by a long walk ('Shank's Pony' - your feet! *) or on horseback in the days before there were good roads or school buses. There are people among us still who recall riding all the way from Palm Beach to St. Ives as weekend 'fun' and people who still enjoy riding their horses now - the Ingleside Riders Group for example. The traffic and Gran's anecdote also reminded us of a little insight we ran for you a few years back on how four boys used to share one horse to get to school and a page we put together for you on how Pittwater once had Australia's First School Launch. Children who live on Scotland Island and our Western Shores still get to school via the water - only today it's a Church Point Ferry that brings them to school - some to Newport Public School, some to Pittwater High School. Must be a lovely way to start the day! Today you all get to school on a bus or on your bike or someone drops you off in a car or you're big enough to walk all the way there and back again. Most students attending Pittwater schools live within a short distance of their school - but imagine of you had to get up with the dawn and ride a horse 15 miles over bush tracks to get to school and then do the same to get home again. This would be a wonderful adventure of course - imagine all you would see along the way each day - but it would mean you could spend as much time travelling to and from school as you would spend at your desk, learning how to write or add things up. This Issue, apart from wishing you all a great first term back at school, those insights run below showing the few hours you may now spend having a surf, having a sail, doing your homework or simply strolling home at leisure were, just over a hundred years ago, time spent simply getting to and from school. The school launch started picking up children at 7.15 am and took almost two hours to call into all the little bays and wharves between Barrenjoey Lighthouse (where children lived with their Lighthouse Keeper parents) to get to school. Must have given them all a great time to have a daydream in - or perhaps join in singing the same song. ON THE ROAD TO SCHOOL. To ride a long distance every day to school is not at all peculiar' to Australia, but there is no doubt that it is sometimes done here under conditions that are essentially local. A rather singular case of this kind has furnished our artist with an illustration, which will not be viewed with less interest on account of the circumstance it depicts having ah actual foundation in fact, and being chronicled in a Victorian newspaper. Four young boys in a bush locality live no less than 15 miles from the nearest school. This is a condition that would damp the ardour for knowledge of most youthful aspirants to learning, and would be looked upon by many parents as satisfactorily exempting them from the operation of the compulsory clause of the Education Act. Not so with the youngsters in question. Their father has an old horse, which would appear to possess the sailor's great point of merit in a horse, 'a long back and good, carrying capacity.' They all mount this highly domestic quadruped, sitting one after the other on the bare and somewhat razor-shaped back, the eldest in front to 'steer,' and trot off to the distant school in the morning, returning at night. The patient horse, who is entirely uninterested in such matters as educational standards, has, nevertheless, to render his services towards this object, and jogs oft' with the juvenile family on his back to the school, where nothing but a not very luxuriant grass paddock awaits him. In the afternoon, school over, he is again caught, the old cart 'winkers. '-are slipped over his somewhat elongated head, the passengers climb up to their not too comfortable seat, and the steady-going old steed readily gets up the steam for a swinging trot 'homeward. In a school at Tasmania, on a recent occasion, one pupil, a girl, was distinguished with a prize on account of the immense number of miles that she had to travel on foot in a year for the education she was acquiring. If not only results, but also the labour of getting them, were taken into consideration, our young Victorians might perhaps be thought deserving of some other form of recognition in addition to that of having their daily journey made the subject of a picture in The Sketcher. WITH THE CHILDREN. HOMEWARD BOUND. Some few years ago in and around Pittwater were found many children who could neither write nor spell their own names. The nearest school was miles away, and quite inaccessible to the children living at-the mouth of the bay. Directly the attention of the department was called to this matter it set itself to remedy so great an evil. A trim little-oil launch was requisitioned, subsidised by the Government, and now the visitor to Newport, Bayview, Clareville, or Kurring-gai Chase, may see the unique spectacle of a launch full of children going- to or from the public school at Church Point. It starts on its way at 7.15 a.m., and gathers the children from the many little bays and inlets that make beautiful that fine stretch of water to the left of Barrenjoey. At 9.30 the pupils are all seated at their desks. Afternoon is the best time for the visitor to take a trip with the launchman, and see how the State caters for the children. The launch leaves Newport on the home-ward journey about 3.15 p.m. It heads straight for the point, where the children, some 25 or 30 of them, having left the pretty schoolhouse half a mile distant, have assembled themselves on the jetty. A pretty picture they make, too, as they stand on the steps, white-pinafored, dark coated, rosy-cheeked, with bag in hand or slung over shoulder. The launch draws alongside. The bigger boys and girls step in, carefully watched by the assistant, who lifts the smaller ones and sets them quickly but gently on the deck of the boat. Another moment and away she goes with her cargo of little souls. A quick steam along the right shore, and a stop is made at one of the pretty bays for which Pittwater is renowned. A curly-headed little girl, some 6 years old, and her bigger brother are landed. They shout a merry "Good-bye" to the other youngsters, and off they go to the big house, where their parents are. Another stop, and three others are landed, along with sundry loaves of bread, and what looks uncommonly like a leg of mutton. Further on a halt is made to deliver the day's paper, a tin of biscuits, three loaves of bread, and two more children. The launch is slowing down. This landing is not so easy as the last. There is no wharf here. The fisherman pulls out in his boat, draws alongside, and the children step in. A few loaves of bread, a letter, and sundry parcels accompany them. Many stoppages are made before Barrenjoey is reached. The largest number of children are delivered to here, along with a larger supply of provisions. 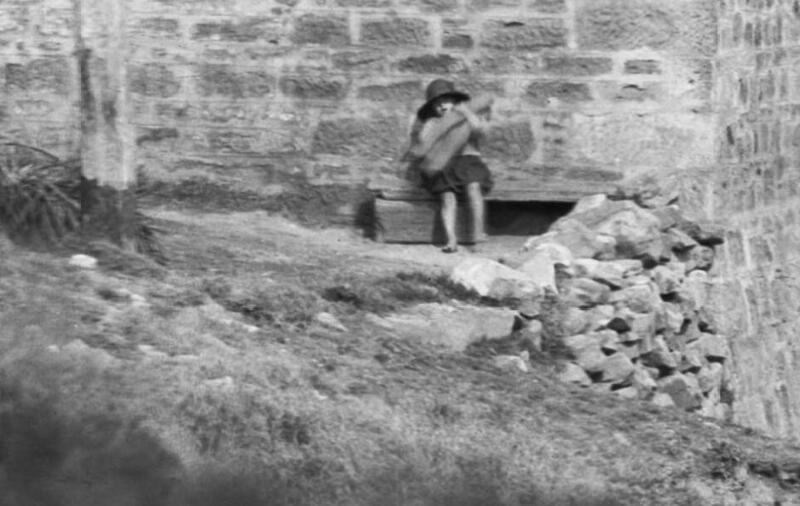 It is said that boys and girls of 1-7 living in this lonely, out-of-the-way place had no means of education until the department provided this means of conveyance, and carried them free of charge to the school at the head of the bay. The launch turns homeward, but it is a long run before the four remaining children are landed. It grows colder. They huddle closer together. The launchman suggests a song. Their willingness to comply proves it to be the usual way they pass the time down the bay after losing their companions. Four shrill little voices pipe "When the Empire Calls," "Three' Blind Mice," and "The Canadian Boat Song." "God Save the King" gives the visitors timely warning that they are nearing home, though there is no sight or sound of habitation. They are landed at last. Their day is a long one. They are the first passengers and the last. They must make an early start, for their home lies three-quarters of a mile from the water. Away they go, each carrying a loaf of broad and their schoolbags. They are a wee bit timid of the walk just yet. An evening or two previous they were in sight of home when two native cats jumped down on the narrow bush track. With one accord they dropped everything, turned themselves round, and never stopped running till they reached the water where 15 minutes previously they had been landed. A quick run of half an hour with one or two stoppages for the delivery of provisions to the lonely fisherman or selector brings the launch back to its moorings. Truly we live in wondrous times when the education of the children of the solitary fisherman, the lighthouse keeper, or the caretaker is thought of so much importance that means are found to bring them to the in to whom that education can be obtained.-"Herald." ZAVA. Small launch built by Gordon Beattie, perhaps the Coral circa 1910, courtesy Gosford Library images. 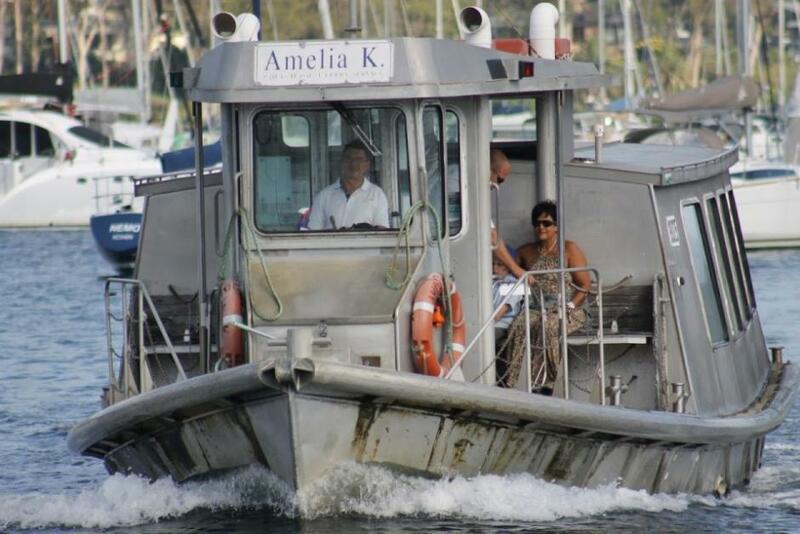 The Patonga is a motor launch, engaged, morning and evening, of every school day, to convoy children residing at Barrenjoey, Careel Bay, and the adjoining district, to the Bayview (Central) School. 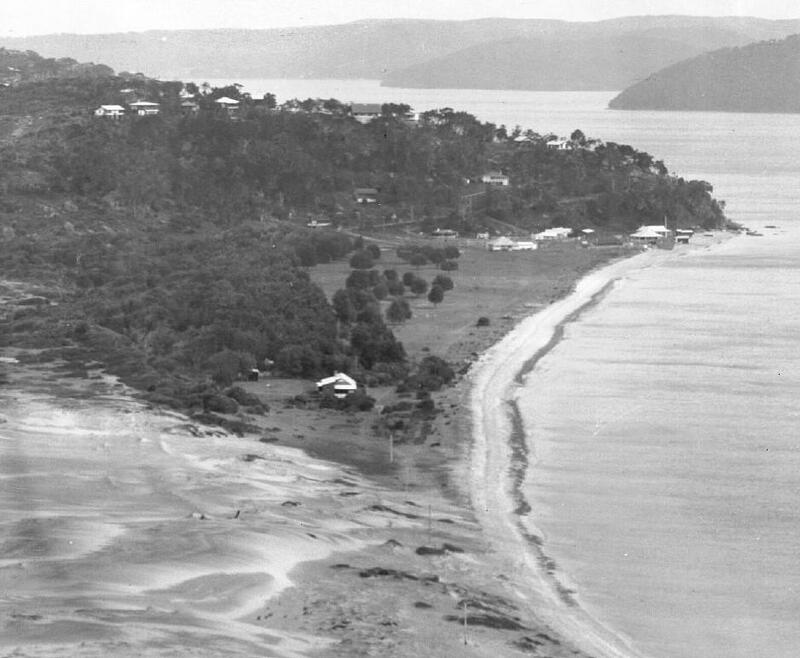 Pittwater, although one of the most beautiful, interesting, and picturesque of Nature's gems, is by tho very reason of its loveliness, a difficult place to provide with schools. Until Quite recently the only way those children could get-to either Bayview or Newport Public Schools, was by rowing boat, the distance in some cases being nearly eight miles. It will be seen that only in very fine weather was it possible to attend school, and the result, unfortunately, was that the people, by the peculiarity of their location, were practically debarred the advantage of our Public Instruction Act. Numerous requests were made to have more convenient school accommodation for these children (29 in number), but there was this difficulty--That to give all these families anything like equal opportunities, would have necessitated two or three small schools. Early in the present year, the Hon John Perry, then Minister for Education, Instructed Mr. Senior Inspector Lobban to take the matter in hand, and ascertain the best way in which the request could be treated. After exhaustive inquiries had been made by that able officer; assisted by Mr. S. Morrison, teacher Bayview Public School, it was proposed to gather together all tho children, and take them by launch to Bayview Public School. 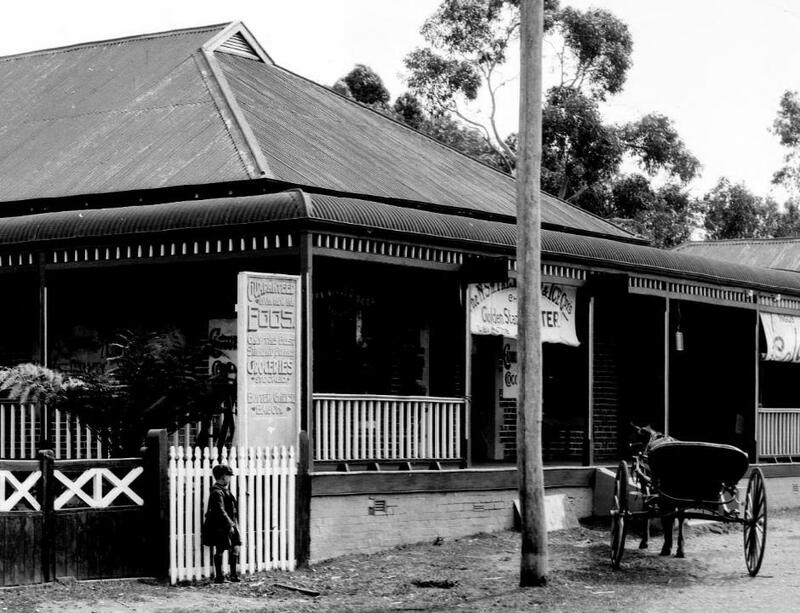 This idea commended itself to Mr. Perry, and arrangements were made with Mr. William Sykes, the owner of the Patonga, to give the scheme a fair trial. The service was inaugurated in April, and has been running nearly four months. As this was one of the last administrative acts of Mr.Perry, he may feel proud of the result, which is described in departmental reports as "an .unqualified success". This, launch, is the first and only school launch in Australia. The boat is a distinct departure from the style usually adopted for motor launches. She is 30ftlong and 8ft beam, the motive power being supplied by a 5 h.p. Hercules engine. She was built specially strong to withstand the rough sea sometimes experienced in the bay, and it is a source of gratification to the department that all through :the recent heavy weather the timetable has been carried out. She is in charge of her owner, and presents an interesting appearance as she comes each morning, with 20 to 30 children, to Church Point Wharf. The Bayview (Pittwater) Public School Launch. 'This image is part of a collection of 69 albums of pictures, postcards, and newspaper cuttings donated to the State Library of Western Australia in July 1961 by the family of the late Mr Miller. 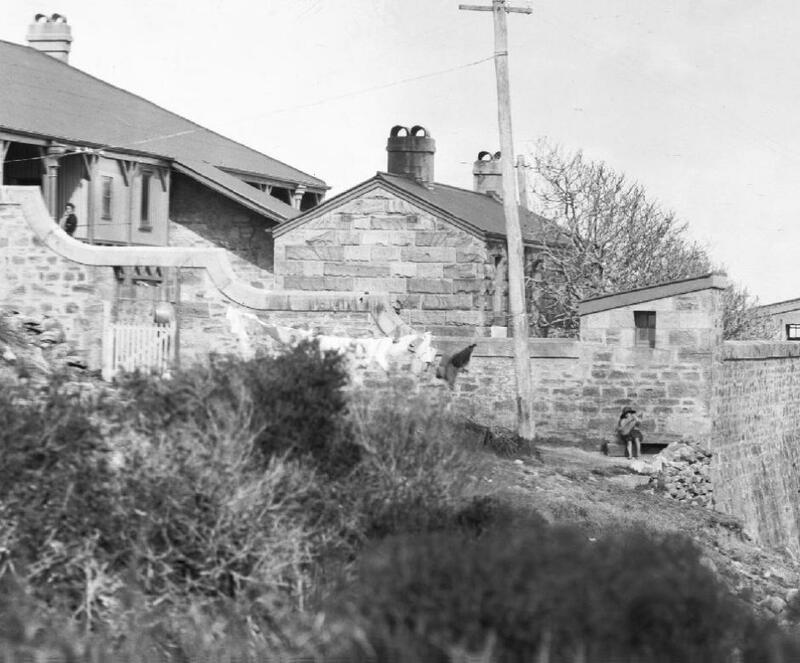 Jack Edward Miller was employed as a boatman and cook by the Harbour and Lights Department in February 1902 and spent some time at Breaksea Island lighthouse near Albany.' Call Number U15g. This reminds us of the model oil launch referred to in the heading, and which we were invited to inspect. There is nothing so calculated to push a country forward as private enterprize (although our present Government is not of that opinion), and did we but have more of it, things would soon hum in Australasia as loud as in America. A step or two up the ladder of private enterprize has just been taken in Penrith in connection with water traffic and the result—a splendid launch, built on perfectly modern scientific principles, with all latest contrivances for speed, convenience and comfort. The enterprising proprietor is Mr William Sykes, architect, and the builder Mr E Fisk, well known as a thoroughly efficient and -reliable ship-builder, having served his apprenticeship in Sydney. Unfortunately for the district this handsome modern launch is not being perfected and expensively finished to float on and grace our deserted waters, but is intended by the owner for service on the Hawkesbury River. Whether this is through the unwillingness of the public to patronise and encourage such undertakings, or whether the proprietor has in view a much more profitable scheme in the locality chosen, is not in our province to say. Anyway, it is clear at-the present time our river has no attraction for its owners, and the cause remains a knotty problem to solve. "He took shanks-naig, but fient may care." Image No. : c071860047 From Box 21: Glass negatives including views of New Zealand farms, Sydney Harbour, Narrabeen (Warriewood), ca 1890-1910, Photographs of William Joseph Macpherson, courtesy State Library of NSW. Readers can visit The Rock Lily Hotel (Restaurants you could also stay at) history page for more. TRAM WAY CONNECTION WITH NARRABEEN. CUTTING OUT BALLAST FOR THE NEW TRAMLINE AT CABLE'S QUARRY, AT THE TOP OF DEE WHY HILL. A PANORAMA OF NARRABEEN AND THE LAKE FROM THE TOP OF THE HILL NEAR COLLAROY. 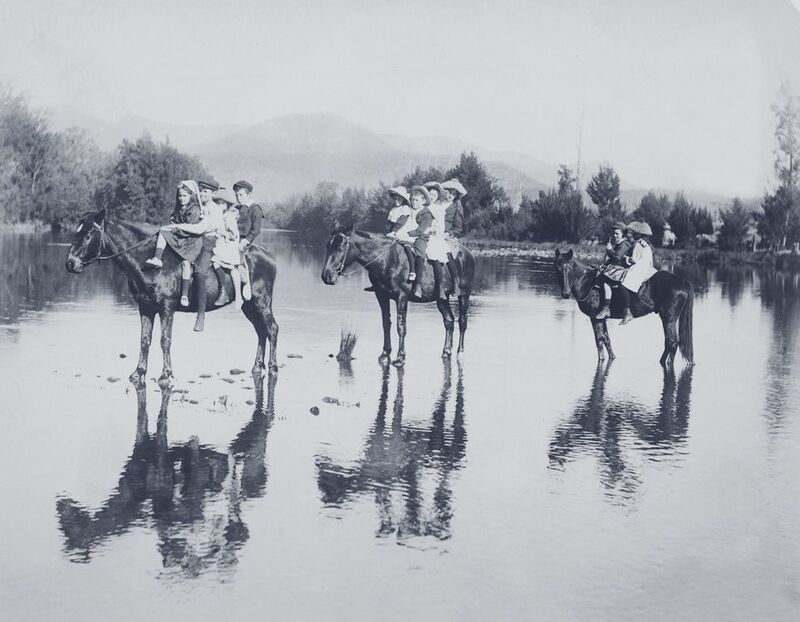 BATHING AT NARRABEEN, FOR CHILDREN AND HORSES. A GROUP OF MERRY YOUNGSTERS AT NARRABEEN. 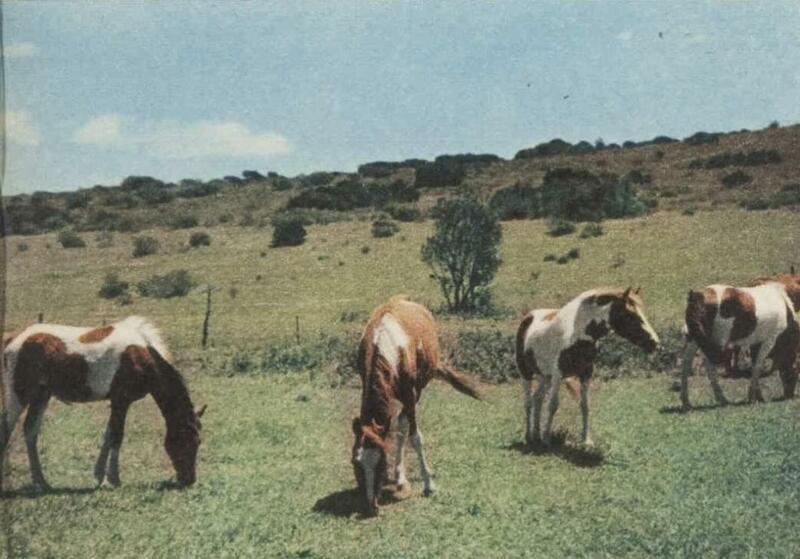 Skewbald foals grazing at Warriewood, N.S.W. Felt the dawn wind creeping cold? And the whole world changed to gold! One of the few women "posties" in NSW, 18 year old Josephine Griptock, of Bayview, delivers the mail on horseback to people living along the shores of Pittwater. Although she is neyer footsore, Josephine says she often feels shaken to pieces and utterly weary by the time she has finished her day's work. Josephine came from England nearly four years ago' with her mother, Mrs. S. L. Gristock, and her brother George. She has worked with the PMG since her arrival, first at Mona Vale post Office as a telegram girl, and now as official Post-woman at Bayview.' Housewives prefer a ters and packages, she believes. "They chat to me about their children' and their household worries and often get me to pick up messages for them from the local store," Josephine said. "A. postwoman has a chance to help them as no one else could." Her work at the' post office keeps Josephine's two horses in good condition as well as providing the money to keep them. She takes special care to see that they are well groomed while on the mail round, and is delighted if one of the householders comments on their smooth appearance. Both horses, a white and a chestnut, have won prizes in local gymkhanas and will be entered for the Royal Easter Show this year. Before she came to Australia, Josephine lived in Kent, where she did not keep any pets. Now she has three cats, two cockatoos, a cow, two horses, ducks and fowls to look after. At Christmas Josephine received presents for the pets as well as for herself from grateful customers. MISS JOSEPHINE GRISTOCK saddles her horse, Johnnie, ready for the morning mail delivery.